Las Vegas is the starting point for your Grand Canyon flight. You’ll be shuttled right from the front entrance of your hotel to an odyssey spanning an unbelievable 7.5hrs! Travel the Grand Canyon by both air and foot with an adventure so audacious that you’ll only find it here, in Sin City! 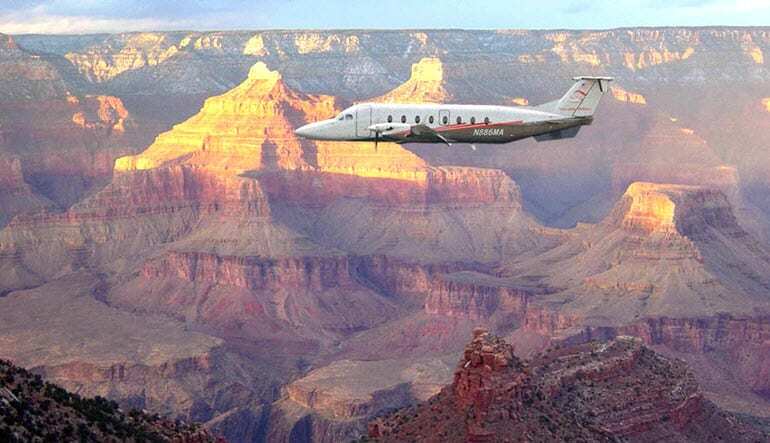 Las Vegas is the starting point for your Grand Canyon flight. You’ll be shuttled right from the front entrance of your hotel to an odyssey spanning an unbelievable 7.5hrs! See it all! Once arriving at the takeoff site, hop aboard a Beechcraft 1900D airplane. For 40 minutes, the powerful plane soars you over a number of checkpoints before arriving at Grand Canyon National Park. From there you’re shuttled deep into the grounds. Once arriving at your destination, you’ll be treated to a gourmet lunch. 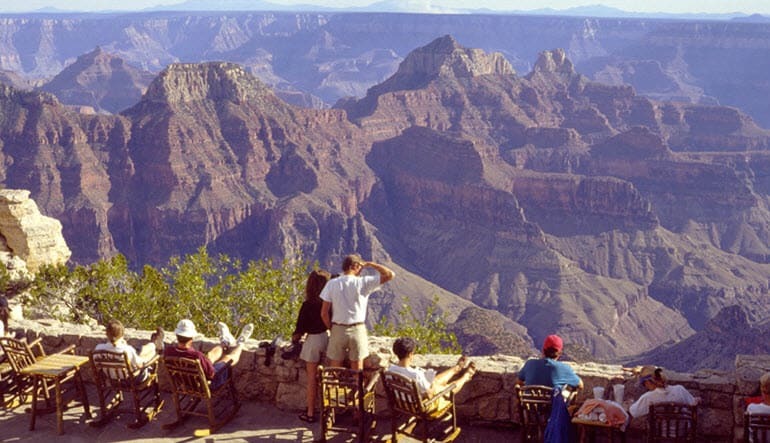 Spend an hour at Bright Angel Lodge, a hotel resort at the Grand Canyon’s South Rim. 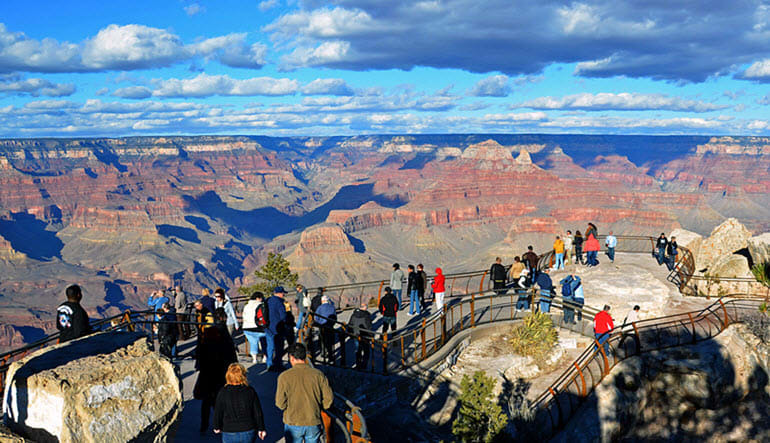 Next, head out to Mather Point, the South Rim’s most popular lookout, where the canyon opens up to you in all its glory. What you do with your time is up to you. There’ll be hiking trails, hidden nooks to enjoy your lunch, magnificent wildlife watching and more! This is one of the most extensive tours offered in all of Las Vegas. If you’re up for adventure (why else would you find yourself in Sin City?) then set a day aside for the behemoth of Vegas excursions!